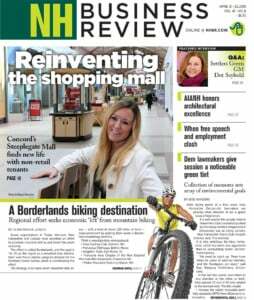 New Hampshire Business Review is pleased to present the winners of our twelfth annual BOB Awards, which honor the Best of Business in New Hampshire for 2019. Each year, our readers vote for the Granite State’s most stand-out businesses — the ones that go above and beyond to ensure exceptional products and services with the utmost attention to detail and delivery on customer satisfaction. The BOB Awards distinguishes these businesses from the rest, serving as an endorsement from industry members who regularly depend on them to fulfill their day-to-day functions. This year, the number of BOB voters shattered previous records, with more businesspeople than ever before taking the time to highlight the businesses that contribute to New Hampshire’s economic engine and are essential to the business community. Congratulations to all of the 2019 winners! More than a digital marketing agency, wedü uses customer intelligence to craft a creative strategy with impactful results. wedü works with clients’ marketing and management teams to develop the look and feel of the user experience, whether it’s an in-season national advertising campaign or an investment in a website to deliver value over several years. As user experience professionals, wedü utilizes technology, human sciences and art to bring concepts to life. From media planning and creative design to online marketing and SEO, Burke Advertising provides a wide range of services that allow clients to exert greater control over their marketing and maximize their return on investment. Every available ad tool is considered with a hands-on approach and in-house services. Just Flow offers comprehensive event planning and corporate communication services including strategic marketing, website development, social media and copywriting. When organizing public, private and nonprofit events, the team develops everything from in-house graphic design for event keepsakes to coordinating fundraising components and managing vendors and venue personnel. Founded by 2014 Business Excellence Award winner CEO Ryan Barton, Mainstay Technologies provides hassle-free tech support to organizations of all sizes across New Hampshire and Northern Massachusetts. By taking the time to understand the unique needs, processes and budget pressures of each client partner, Mainstay builds proactive technology and cybersecurity plans. For more than 60 years, Wipfli | Howe Riley & Howe has provided entrepreneurs, business owners, nonprofits and individuals tax, accounting and financial services, including trusts and estates. As the largest accounting firm headquartered in New Hampshire with offices in Bedford and Portsmouth, Wipfli | Howe Riley & Howe has experienced staff to assist with your accounting needs. Through collaboration and engagement, Lavallee Brensinger successfully delivers projects that not only meet clients’ needs but also fulfill its own passion for innovation. Collectively, the firm – which also has offices in Boston and Portland, Maine — has designed over $3 billion of new construction and renovation projects across a wide spectrum of market sectors including healthcare, education, corporate, civic and senior living. TFMoran Inc. is a regionally recognized engineering and surveying firm offering civil, structural, traffic, surveying and landscape architecture to private and public clients since 1968. Committed to responsible, sustainable development, TFMoran is a leader in green technology and claims many of the region’s “firsts,” including porous pavement, green roofs, bio-retention, grass-pavers and xeriscape plantings, among many others. Granite State Plumbing & Heating Inc. has been providing HVAC and mechanical systems installation and service since 1983. Today, as a wholly owned subsidiary of Comfort Systems USA, Granite State Plumbing & Heating focuses on the mid-market commercial industrial and institutional sectors, while caring for customers, employees and the environment. Comcast Corp. is one of the nation’s leading providers of cable, entertainment and communications products and services, with 22.3 million cable customers, 25.8 million high-speed Internet customers and 11.5 million Comcast Digital Voice customers. Backed by industry-leading, 24/7 business-class support, Comcast provides advanced communication solutions to small and mid-sized organizations to help them meet their business needs through its Comcast Business Services. Locally owned and operated, Accurate Title has been closing residential and commercial real estate transactions since 1984. With locations in Bedford, Portsmouth, Concord and Meredith, Accurate Title’s highly experienced staff strives to make customers feel at ease as they are guided through the closing process. Their goal is to provide the highest level of service in the industry so that the closing can be a celebration. Art 3 Gallery is a premier New England retail fine art gallery offering custom framing and corporate and residential art consulting services. Located in a restored townhouse in the historic Millyard, the gallery includes one of the largest collections of art by New Hampshire, New England, national and international artists. Beginning in 1987 with one route, Green Mountain Messenger has grown to over 100 daily routes and become a full service provider of courier and same-day delivery services in the New England region. With New Hampshire offices in Londonderry and West Lebanon, GMM’s dedicated management team of experienced problem solvers has provided its customers with cost effective and efficient transportation solutions resulting in a solid base of long-term satisfied customers. With the addition of the PGA Tour Simulator offering more than 50 different courses to play, as well as professional staffers to provide assistance, Manchester Country Club helps golfers stay limber through the off-season in New England. When spring comes around, the 18-hole track designed by Donald Ross in 1923 provides members open access to undulating greens and strategic routing, with very little walking from one green to the next tee. Renovations through 2023 serve to restore Ross features including cross bunkers and fescue mounds. Set amongst the pristine, rolling hills, the Atkinson Resort & Country Club has been a place of solitude for city travelers since the 1800s. In addition to the 18-hole par 72 public golf course, there is a practice facility designed to help golfers improve their game. The facility consists of 15,000 square feet of grass tees, 12,000 square feet of putting greens, multiple bunkers and a 65-yard short-game practice hole. SNHU offers over 50 affordable, specialized MBAs that can be completed in as few as 15 months. Programs are designed to be flexible, fitting in with students’ schedules and budgets while maintaining academic excellence. And the GMAT and GRE are not required for admission, making the program more accessible. Professionals can tailor their degree to their interests and career goals, with more than 20 career-oriented concentrations, and developing projects that serve their business needs. With several financial advisors around southern New Hampshire, Edward Jones is dedicated to helping clients develop strategies to reach important long-term financial goals, such as paying for a child’s education, retiring on your terms or creating a family legacy. In addition to offering traditional investment products, Edward Jones financial planners assess clients’ needs, develop goals, implement solutions and regularly review portfolios keeping clients’ best interests in mind. As the first credit union in the United States, St. Mary’s Bank has been helping New Hampshire residents with a wide range of affordable products and services for more than a century. Members can achieve their financial goals with best-in-market services and trusted financial advice regarding personal loans, real estate loans, business banking and financial planning. Membership is open to anyone with the purchase of one share of capital stock for $5. Founded in 2008, Granite State Solar provides customized energy solutions and services to suit customers’ needs with optimum financial results. A variety of renewable energy products and services help customers save money and reduce their carbon footprint, with all systems designed, installed and maintained by certified technicians, electricians and engineers. Scheduled to take place Friday, Nov. 1, 2019 in Manchester, the annual New Hampshire Conference for Women provides an opportunity for women (and men) to listen to motivational speakers while forming peer-to-peer connections and furthering personal and professional development. Attendees in positions ranging from domestic goddess to administrative assistant to CEO make up the group of dynamic, fabulous women. The conference is just one of many events organized by the member-based organization Women Inspiring Women. Resting atop a quiet and picturesque hilltop with rolling vineyards, LaBelle Winery is the premier event venue for corporate entertaining and social celebrations of all sizes and styles. With outstanding service and cuisine, group wine tastings, vineyard and wine cellar tours, in-house audio visual, custom furnishings and much more, LaBelle Winery offers several amenities to add a unique atmosphere for any event. LaBelle Winery’s corporate sales associates also help assist in planning the perfect event — one that is creative and memorable. Trivantus is a locally owned and operated payroll processing company specializing in streamlining employers’ outsourcing needs. In addition to processing payroll, Trivantus offers human resource and benefits services for all size businesses. Central Paper has been specializing in paper for over 60 years, representing the nation’s leading paper manufacturers including Neenah Paper, Wausau Paper and Xerox Paper. Central Paper offers customers online ordering and account maintenance. It also has five full-service Paperworks retail stores in New Hampshire, Massachusetts, Rhode Island and Connecticut. New England-based Staples Inc. opened its first office supply superstore in 1986 and today is the world’s largest office products company with more than 1,800 stores in North America. From pens, paper, data CDs — and, yes, staples — Staples offers a wide range of office products and solutions. For more than 30 years, The Cleaning Guy has been providing unmatched commercial cleaning services out of the greater Manchester area to residences and businesses across the state. Its mission is to clean for health — that is, cleaning to keep facilities healthier places to work. It provides services such as daily and weekly office cleaning, carpet, window and floor care with the very best, high-quality equipment. Headquartered in Maine with nine offices in New Hampshire, Cross Insurance Agency offers experience in all facets of insurance protection — and more than 400 knowledgeable employees — so it can always assemble the team best suited to meet its clients’ business and personal insurance needs. Its business products are tailored for a range of industries and include property, general liability, business interruption income, commercial auto, workers’ compensation, cyber liability, professional liability and more. Its fully staffed employee benefits division represents more than 1,500 employee benefit clients throughout Maine, New Hampshire and Massachusetts, and each client is assigned a minimum of two Cross representatives: an account executive, whose principal responsibility is front line contact, and a benefits specialist, working in a day-to-day fashion with each client. Elliot Health System is a nonprofit organization serving the healthcare needs of the community since 1890, when it opened the first community hospital in the state. Today, Elliot Hospital is a 296-bed acute care facility and Elliot Health System is the largest provider of comprehensive healthcare services in southern New Hampshire. Elliot is home to Manchester’s designated Regional Trauma Center, Elliot Breast Health Center, Elliot Urgent Care, a Level 3 Newborn Intensive Care Unit, Elliot Medical Group, Elliot Regional Cancer Center, Elliot Senior Health Center, Visiting Nurse Association of Manchester and Southern New Hampshire, 1-Day Surgery Center, Elliot Memory & Mobility Center, NH Arthritis Center, Elliot Retail Pharmacy, Elliot Medical Centers in Bedford, Londonderry, Hooksett, and The Elliot at River’s Edge. With more than 75 years of experience in New Hampshire, Anthem Blue Cross and Blue Shield and parent company Anthem, Inc., is committed to make quality healthcare simpler, more affordable and more accessible. Today, nearly 300,000 Granite Staters rely on Anthem’s health care benefits, products and services, along with a range of specialty products including pharmacy benefit management, dental and vision. Starting out as a small, family-run operation in 1972, The Copy Shop balances high quality work and professionalism with their roots as a family establishment. Business owners and operators can expect cost-effective solutions to all of their graphic and printed business communication needs. Spectrum Printing & Graphics offers a comprehensive list of services through its commercial printing division for print jobs of any quantity, from long-run direct mail promotional campaigns to large format signs to general commercial printing. Its commercial equipment is specifically designed to fulfill the diverse range of requirements, and Spectrum’s private trucking fleet and national distribution network ensures projects arrive on time. From flyers and custom direct mailing solutions to basic stationery and business cards, Spectrum Printing & Graphic’s digital printing equipment produces custom solutions for jobs with fewer than 500 to 1,000 pieces. Its turn-key direct mail programs and award-winning creative services allow companies of all sizes to generate superior results, with additional finishing options that can kick their marketing up a notch. Say It In Stitches is a promotional product distributor with a mission to help you create long-lasting relationships with your clients through the power of promotional products. Promotional products are used by virtually every business in America, and Say It In Stitches can supply your company with every possible promotional product — such as pens, mugs, t-shirts, wristbands or lanyards — from more than 3,000 suppliers. With locations in Nashua and Manchester, Tulley BMW treats the needs of each individual customer with paramount concern. Its experienced sales staff is eager to share its knowledge and enthusiasm about its range of new and certified pre-owned BMWs. Both facilities also have BMW Service Centers, which are staffed with experienced, BMW-trained technicians who will quickly diagnose and remedy any areas of concern and get you back on the road quickly and safely. A fourth-generation, family-owned automotive group specializing in commercial vehicle and fleet sales, Grappone Automotive Group’s staff provide businesses with more than vehicle sales and repair service — they deliver exceptional customer experiences. With Grappone’s commercial trust and fleet vehicles, businesses are ensured their employees can get where they’re going. Established in 2004, the Manchester Young Professionals Network is New Hampshire’s first and largest young professionals’ networking organization, supporting nearly 3,000 young professionals in the Queen City. Through monthly, and sometimes weekly events, MYPN aims to create business and social opportunities, support professional development and welcome new and existing young professionals to the Manchester community. MYPN also hosts one of the state’s largest business startup competitions, the New Hampshire Startup Challenge, which provides cash and in-kind services to winning business plans. Sheehan Phinney’s attorneys represent clients in every aspect of business bankruptcy cases and other insolvency venues. The members of the Bankruptcy, Restructuring and Creditors’ Rights Practice Group and the firm’s broader business litigation team have extensive experience in handling appellate proceedings in the United States District Courts, Bankruptcy Appellate Panels and United States Court of Appeals, and the Supreme Court of New Hampshire and Massachusetts Supreme Judicial Court. Attorneys also serve as mediators, arbitrators or other facilitators to resolve actual or potential commercial litigation through alternative dispute resolution techniques. Best Employment Law Firm: McLane Middleton, P.A. McLane Middleton provides expertise while keeping legal costs in check, by addressing matters promptly and effectively. The law firm assists clients with workplace audits, strategic workforce training, timely workplace investigations and more, in industries ranging from manufacturing to education and technology. The firm has substantial expertise in discrimination, harassment, disability, data privacy, drug testing, family and medical leave, federal and state regulatory compliance, OSHA, wage and hour, reductions in force, immigration, and more. Best Tax Law Firm: McLane Middleton, P.A. McLane Middleton tax attorneys advise clients on a broad range of tax planning issues including federal tax planning, retirement plans and employee benefits, employee stock ownership plays, executive compensation planning, state and local tax planning, tax controversy, tax-exempt entities and international tax planning. McLane’s tax attorneys also have the unique perspective of frequently participating in the drafting of New Hampshire’s tax legislation. The $5 billion New Hampshire-Canadian trade relationship achieved a high profile among the business community as the placement of tariffs on steel and softwood lumber and uncertainty stemming from ongoing trade negotiations led to an uptick in visits from Canadian officials. Canadian Consul General to New England, David Alward, and Québec’s Delegate to New England, Marie-Claude Francoeur, also revealed growing economic opportunities regarding biotechnology, aerospace manufacturing, hydroelectricity and tourism. An agreement with Aero Montreal is developing openings for New Hampshire companies to tap into the third-largest aerospace cluster in the world. And New Hampshire’s growing electric vehicle infrastructure may increase the number of visits from renewable focused Québecers, 406,500 of whom visit New Hampshire and spend $83.9 million per year. Our Town Capital is comprised of a dozen community-minded angel investors who are investing in ideas that promote positive social initiatives and expand employment opportunities in the greater Monadnock area. Since forming in 2017, Our Town Capital has invested in Nuttin Ordinary, a vegan, cashew-based cheese manufacturer; NH Tap, a water supply testing and filtration company; and Conducive’s Village at Stone Barn, a 33-unit condo development on a 32-acre farm. Anyone with a business idea for the region can pitch it via a form on their website. Since 2003, Human Resource Partners has helped small and medium-sized businesses meet what can often be overwhelming HR and other organizational needs. With customized services that include process improvement, change management, corporate training and coaching and development of business, strategic and continuity plans, Human Resource Partners ensures that clients’ operations are running as efficiently and productively as possible. The first state-certified training and education program of its kind, ReVision Energy Technical Center provides the educational hours required for electrical licensure in New Hampshire and Maine. As more stringent state and federal regulations require the installation of solar electric systems and complementary technologies to be done almost exclusively by licensed electricians and registered apprentices, ReVision Tech was developed as a way to resolve the acute shortage of licensed electricians in New Hampshire. Since New Hampshire schools shifted to competency-based learning standards in 2009, Karen Thompson, Hinsdale’s Extended Learning Opportunities coordinator, has formed relationships with 120 businesses, introducing juniors and seniors to career pathways and employers in the area. The program has led to teacher discussions on how to assess students’ work at ELOs, taking into consideration how businesses assess the competency of their workers, shifting the district away from traditional grading in favor of setting up students for professional success. A spinoff of Stanley Elevator Company, Waypoint aims to make the process of automating a production line easier with Vector, an industrial-strength omnidirectional, autonomous robot that is as easy to use as an elevator. To program Vector, users simply drive the robot to the loading dock or component storage room and assign a button to the destination that becomes its automated schedule. Without the need to halt operations or redesign a floor plan, even small manufacturers can shift the heavy lifting to a robot and gain more valuable work from their employees. Led by business and community leaders, Manchester Proud is an ambitious strategic plan that aims to transform the city’s public schools to better prepare students for the demands of the 21st century and enhance the overall economic and social health of the city. Launched in May 2018, Manchester Proud has grown to a grassroots effort of more than 1,000 volunteers that have raised approximately $600,000 to hire educational planning consultants and support community engagement, project management and communications. Most importantly, the initiative has brought together teachers, school administrators, business leaders, parents, city officials, students, residents, education experts and nonprofit and civic organizations, unified in achieving the same goal. Approximately 90 percent of businesses in northern New England are family-controlled, employing two-thirds of the workforce. The Center for Family Enterprise, housed at UNH’s Peter T. Paul College of Business and Economics, provides a variety of programs and resources suited for the unique challenges of its 150 members, including building close relationships with the nation’s top business professors. Businesses can also seek outside improvement and feedback through leadership development classes and CEO Peer Circles. Specializing in chemical-free, thermoregulating fabric, Coolcore has partnered with Germany’s Hohenstein Institute to develop shirts designed to optimize astronauts’ comfort during exercise and everyday wear while on the International Space Station. In 2018, the shirts were sent to the ISS for testing. Coolcore highlights three distinct functions — wicking, moisture circulation and regulated evaporation — that, together, keep users cool, dry and comfortable. While other fabrics employ chemicals and additives that wash out to achieve similar performance properties, Coolcore’s fabrics accomplish the same results through its permanent patented structure. A lease-purchase deal structured by the NH Business Finance Authority enabled BAE Systems to move into a 200,000-square-foot facility in Manchester, bringing approximately 800 new jobs to the area. Under the agreement, BAE Systems will lease 3000 Goffs Falls Road for 10 years, at which point the aerospace and defense contractor will purchase the property from the BFA. The deal was also offered to Albany International and Safran’s joint venture in Rochester, illustrating how lease-purchase deals have become a key tool used by the BFA to help companies grow while also being able to invest their capital immediately in infrastructure improvements. The popular New Hampshire craft brewery faced some uncertainty in 2018, when financial struggles associated with a $22 million investment to build a LEED-certified brewery and restaurant led to a foreclosure sale, first to The Provident Bank, then to private equity firm Runnymede Investments. With inventories severely depleted, confusion spread of whether the brewery had closed. Now under the management of CEO Richard Lindsay, Smuttynose is undergoing a renaissance, developing new flavors such as Lady Stardust, an American Imperial IPA, while maintaining the success of its most iconic brews including Finestkind IPA and Old Brown Dog ale. Unified Office’s patented Total Connect Now service ensures reliable business communications for small- and medium-sized companies, eliminating garbled phone messages from bad connections as well as pixilation, image freezing and sound issues associated with free video communication services. In addition to providing SDN-based hybrid cloud managed Voice-over-IP and unified communications services, Unified Office has developed products that provide oversight of business operations in the services industry, including sentiment analysis used by Dominos franchisees to prioritize incoming phone orders from frustrated customers, saving the company from missing a sale.